PalermoUno, the studio of Sophie Wannenes inaugaurated last November, has been filled with shapes and new artworks for Milan Design Week 2019. The exhibition – which includes limited editions and unique products have one common thread – colour that redefines spaces, choreographies, which completely change the look of the environment – give a new image to all eight rooms in the studio. The exhibition will continue through until July. The space located in Brera confirms an original concept: each room keeps its functional connotation, revealing the desire to create a place that is in constant evolution. The product is part of the space, as well as an invitation to “please touch and bring me with you”. Attention is paid to the selection of furnishings made for PalermoUno in the customization of the shapes and in the colours and their gradients. German design label Mykita has moved its New York store to 458 Broome Street into the heart of the fashionable Soho neighbourhood of the city. After five years on Crosby Street, the new two-floor space comprises a large area of 1590 square feet where the full collection is now presented alongside a state-of-the-art lab and workshop. The company says it is the first shop to allow a full view into the optical lab and workshop showing the combination of handcrafting and high-tech that defines what the company refers to as “Modern Manufactory”. It also means the shop can offer a comprehensive optical service including in-house lens cutting, glazing, adjustments and repairs. Exuberant, vivid and charismatic, Frida Kahlo grasped the bold beauty of Mexico’s abundant nature and artefacts. Joëlle Rey at BOZ captures the diversity, distinctive flair and dazzling colourations in a fabulous new collection of frames. There are fourteen exceptional designs, inspired by the unique personality of Frida Kahlo, and the amazing art that she created. Interpretation of the artist’s flamboyance is expressed in graphic elements, luminous transparencies, and exceptional patterns. The distinctive shape of ILLUSION is derived from the theme of Mexican festivals embodied by a symbol of femininity – the Flower, which symbolises many of Kahlo’s paintings. A unique interplay of technicality, inventiveness, and joyful colours complete the sleek, sophisticated look. Aesthetic elements and decorative motifs on the top of IMPALA reflect the lace that appears on Mexican openwork shawls. The frame exudes sumptuousness and graphic codes inspired by geometric abstraction. As he travels the world, David Duralde, Chief Creative Officer for Kenmark Optical, cuts a dashing and debonair figure in his sleek wardrobe. In an exclusive interview with Eyestylist, Duralde shares his thoughts on personal style. A structure of light steel and iron framing with reinforced concrete was amazingly innovative for the late 19th century. In these majestic surroundings, the written word becomes a work of art, and precious art objects with authentic provenance, can be viewed and admired. The salon – now in its twelfth year – is among the cultural highlights of the French spring season. One hundred sixty exhibitors from fourteen different countries are participating in the event. 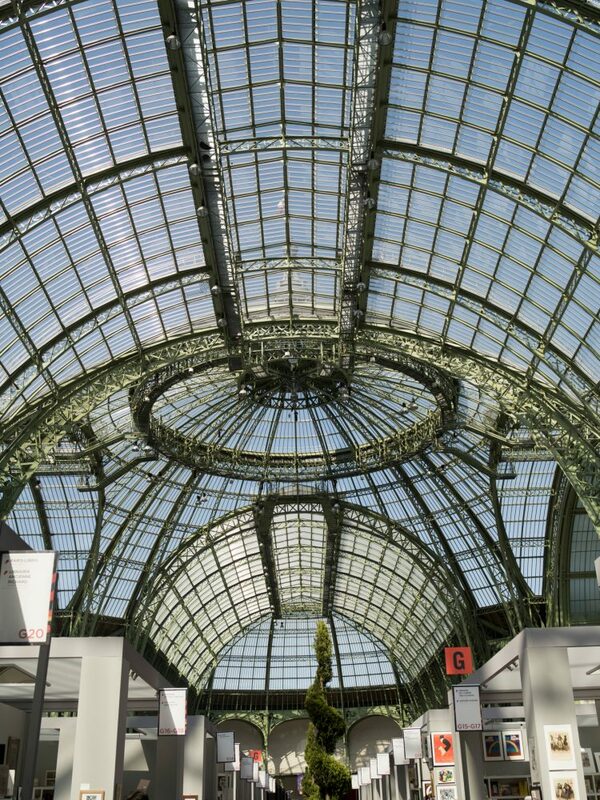 This weekend – April 12th to 14th – is a splendid and opportune occasion to partake in the French appreciation of significant books and exclusive objects d’art at the sublime Grand Palais. An imposing handpainted mural (above) portraying the founder Wim Somers in neon tones at the top covers one huge expanse of wall at the front of theo’s home in Antwerp. The colour combinations and design are indicative of a pioneering spirit and the bold, innovative and industrious direction of the theo family today represented by the second generation, brothers Mik, Jan and Toon. In its own equally expressive statement, the Graffiti collection by theo, launched at the Paris eyewear fair Silmo 2018 and now available in stores, looks to pay homage to the freedom and impact of street art. It explores the specific language of expression and lettering used by the New York graffiti artist ‘Phase 2’ in the late 1970s, reworking the effect with a whole different look in the frames. The style of the ‘bubble-letters’ or ‘softies’ became extremely influential at the time and continue to be regarded in the art form as a ‘gigantic leap’. Here in the new theo eyewear collection, the expression of the letters is achieved through the protruding rounded acetate rims, in coordinated or contrasting colours on the stainless steel base frame, also worked to replicate the bubble effect with little ‘breaks’ through the design. Three frame shapes – models Tag, Throwie and Piece – realised by Serge Bracké, work with the acetate and stainless steel mix – and come in eight graffiti inspired bright statement hues which include ‘glowing’ neon-like pinks and oranges that perfectly identify with the ultra-brilliant tones of the best fluorescent spray paints. Eyewear creations from Swedish designer Anna-Karin Karlsson are abundant with glamour, beauty and sensuality. Frames are crafted with unique statement style – exploring new concepts in shapes, colourations and details. Karlsson is an active advocate for equality and women being able to be who they want to be, and expressing this with fashion freedom. The latest designs are fuelled with Karlsson’s signature luxurious details: Zirconia stones; 24K gold plating and rose gold plating; Japanese Titanium; and Carl Zeiss lenses. Lush Diamond in Green Pearl (top image) is an elegant combination of acetate and metal, with 24K gold plated sides, and refined Carl Zeiss lenses. Sleek and sophisticated, Half Moon is dramatically silhouetted with stone accents.